The Wine Education Institute in Colorado is proud to offer instruction for the CSS or Certified Specialist of Spirits (CSS). 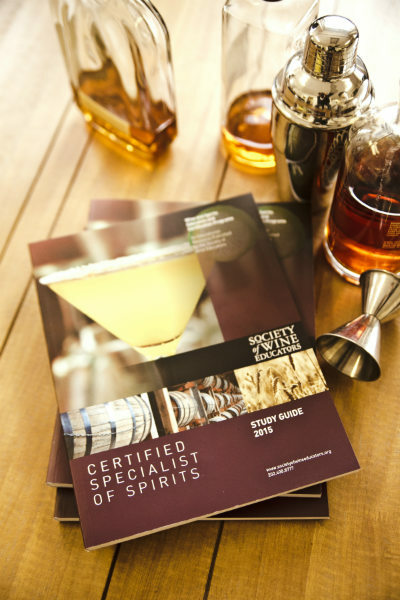 The CSS Exam is a rigorous exam, which tests a candidate's spirits knowledge and mastery of key elements within the world of distillation and spirits production. This certification is widely recognized and regarded by the international wine and spirits industry. The CSS Exam consists of 100 multiple-choice questions, all the material for which is drawn exclusively from the CSS Study Guide. The CSS Study Guide is included with the cost of a CSS Certification Exam sitting, and will be sent to you from the SWE Home Office upon purchase. Candidates are provided with one (1) hour in which to complete the exam. There are no prerequisites required to take the CSS Exam. Successful candidates who achieve a score of 75% or better are entitled to use the CSS post-nominal as part of their professional signature. They will also receive a certificate (suitable for framing) and a CSS lapel pin. Once candidates purchase the CSS Exam from the Catalog, they need to register for the exam of their choice on the exam calendar. Exam registrations are good for one full year from the date of purchase. Exams are offered on an on-demand basis at Pearson Vue Centers worldwide. Those candidates that wish to use a testing center will be sent an authorization code after purchasing the exam credit on the SWE Website. With the authorization code, a CSS Exam may be scheduled through Pearson at the candidate’s preferred time and place.